If you would’ve told me five years ago that I would be repaying my student loans with money I made from blogging, I would’ve told you that you were crazy. And here I am doing it. I work full time and make over $3k per month blogging. It’s amazing. If you are interested in learning how to make money blogging, the first thing you need to know is that there are three phases to blogging: 1) launching your blog, 2) growing your blog, and 3) monetizing your blog. Each step below corresponds with one of the phases and will help you set up a successful blog that makes money. First, you need to start a blog. This is the launch phase. But it’s not just that you need to “start a blog,” you need to start a blog with the end in mind — that you want to start a business. I have a couple things to help you do that. First, I have an easy step-by-step guide that walks you through how to start a blog. Next, join my free online business training by adding your email to the form below. You need to mentally prepare for succeeding with your blog. This means preparing for the ups and downs that are guaranteed to happen. You’re going to have so many obstacles with your blog that every blogger has. The more you’re willing to fail in the beginning, the more likely you are to succeed. Blogging ain’t easy. And it takes commitment, grit, determination, resilience and major focus to succeed with your blog. If you have this mindset, you can accomplish anything. After you have your blog up, you need to get traffic to it. This is part of the growth phase. After all, if no one visits your blog, you can’t turn it into a business. This is done by 1) search engine optimization (aka SEO), 2) social media, and 3) guest posting. For SEO, read my post called 21 Actionable Tips To Increase Your Blog Traffic Right Now to get started with SEO this will help you learn how to optimize your posts for Google. For social media, you need to grow your platforms as big as possible so that people know you, like you, and trust you. Somewhere in the middle of social media and Google SEO is YouTube and Pinterest. These are arguably both search engines and social media. For that reason, they are gold. If you can grow your platforms there, you should. They’re bring you the most traffic. I would take Pinterest Traffic Avalanche if I were you because then you can learn how to implement a strategy for Pinterest and grow your platform to make money blogging. Guest posting means that you write a post for another person’s blog. The reason this is important is because you will make friends with other bloggers in your niche and you get exposure to their audience. To view all my appearances on other sites (interviews, guest posts, etc.) visit my Media Page. The more social media platforms you can excel at, the better. You never know when one social media platform will change its algorithm, making your following difficult to reach. The more platforms you’re on, the more diverse your traffic and audience will be. I’ve built up my Facebook, Twitter, Pinterest, and Instagram accounts that you can look at for examples. In the beginning, it’s hard to make money right away blogging. This is where you can start to do things on the side for extra money to help fund your blog expenses. This is only a step you need to take if you can’t afford to pay for blogging expenses. If you have the money, you can skip it. But you cannot skip paying for blog expenses if you want to make money blogging. I used to freelance write and babysit to get my blog up and running. It worked really well. I suggest: 1) freelance writing and 2) virtual assistant work. How to Make Money as a Virtual Assistant – a course to learn how to become a Virtual assistant. How We Make Thousands Every Month Freelance Writing – a blog post about how three freelancers are crushing it. How To Become A Freelance Writer And Make Money Doing It – a blog post about how to become a freelance writer. How To Make Money As A Virtual Assistant – a blog post about how to make money as a VA. Earn More Writing – a course that teaches you how to make money freelance writing. 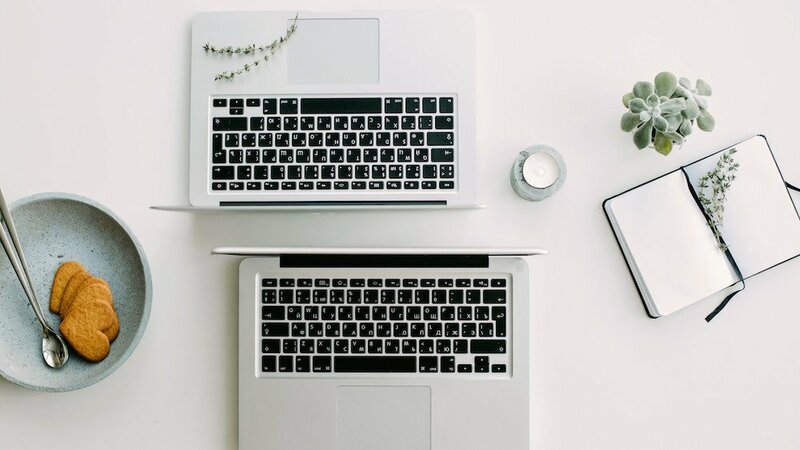 Your Way To VA – a course that teaches you exactly how to become a VA.
As you blog, guest post, freelance write, and grow your social media platforms, you need to connect with other bloggers in your niche. This is part of the growth phase. People need to know who you are. This is done by commenting on their posts, sending them emails, and attending conferences. The more people who know you in your niche, the better. Community is huge for blogging success. Don’t ignore this step. As soon as you have a blog up, you need to start collecting emails. Your email list is the most important part of the growth phase. It’s well known in the blogging industry that “the money is in the list.” Your email list may be your most valuable asset and is going to be a direct indicator of how much money you can make. I grew my email list over 10k in under a year. Mostly, this is from ConvertKit. ConvertKit is pricey, but I don’t know of a cheaper alternative. My suggestion: make money freelance writing so you can afford to pay for ConvertKit. Whatever you do (whether it’s through another email provider altogether), make sure you collect email addresses. You’ll thank me later! ConvertKit – the email platform I use and highly recommend. After you’ve launched your blog, and focused on growing your blog, you are ready to monetize your blog. You can make money blogging in so many different ways that sometimes it’s overwhelming to know where to start. Unless you have some crazy skill or are already huge on social media (like almost famous), I do not suggest trying to monetize as an influencer. Everyone wants to be an influencer, so it’s realllly hard to do. Instead, monetize through affiliate marketing and creating and selling digital products. This is my strategy. To get started with this, you’ll need to learn how to do it. I know it’s not easy, and I know the best ways to get started require you to actually spend money. So, if you can’t swing it yet, stick with getting paid to write and other monetization methods so that when you have some money, you can come back to this and buy the appropriate courses to get started. How To Make Money Blogging – a blog post about how to make money blogging. Make Money Blogging For Beginners – a blogging course for learning how to make money blogging when you first launch your blog (for beginner bloggers). If you are specifically interested in starting a money making blog, download this freebie that walks you through a step by step checklist for launching a money making blog. For all of my blogging posts, visit my Online Business Page. Love this post! I’m all about a person turning their blog into a successful business 🙂 It’s fun and your income is limitless! Point 4 is crucial. Social media has become a must go for anyone wanting to have a digital presence. The only downside is the time it takes to get there. For that last part, I use the service Boost.re it helps a lot! Thanks so much for wealth of information from a personal view. I’m sure you know intimidating it can be as a new blogger to become successful and earn a penny from blogging. I love that you made it personal instead of generic because it makes it much more relatable! Great post Natalie! Awesome numbers. I wish I had known how important growing my list was when I started blogging. Just started focusing on it this fall. I am so grateful for my list!! It’s at 6,700 now and I think I’ll get up to 10,000 soon. Sounds like you’re having a lot of growth now, though, and that is amazing!! I also started my blog because I wanted to teach people about money in a way that I wish I had been taught. This is a very helpful post! Thanks for the great tips! Thanks, Jen! I’m so glad you did – it’s inspiring!